This Yixing teapot with Chinese calligraphy of Fu (福) Shou (寿) carves make it a nice wishing of the tea drinker a long and happy life. 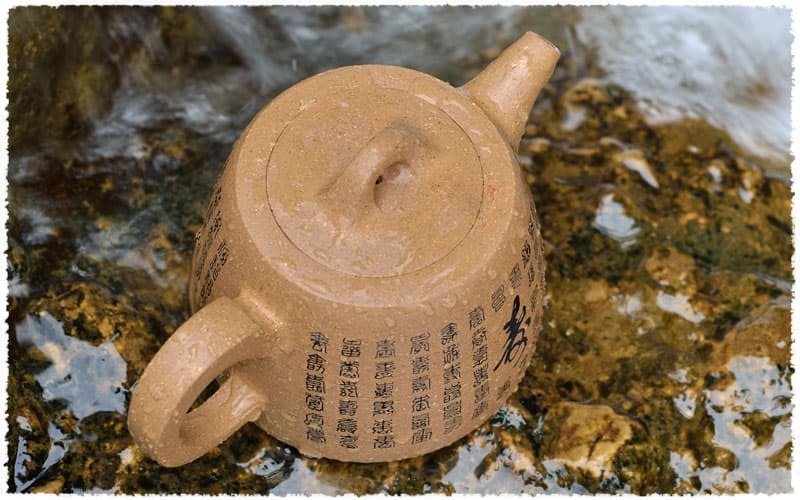 Just as its name implies, Jing Lan (井栏, rail-fences of well) Teapot is inspired from the rail-fence of well, particularly Chinese ancient wells. Ancient Chinese often built a rail-fence when digging a well, and set a well lid or even a small pavilion. These equipments help to protect the well, and can also beautify the surroundings. 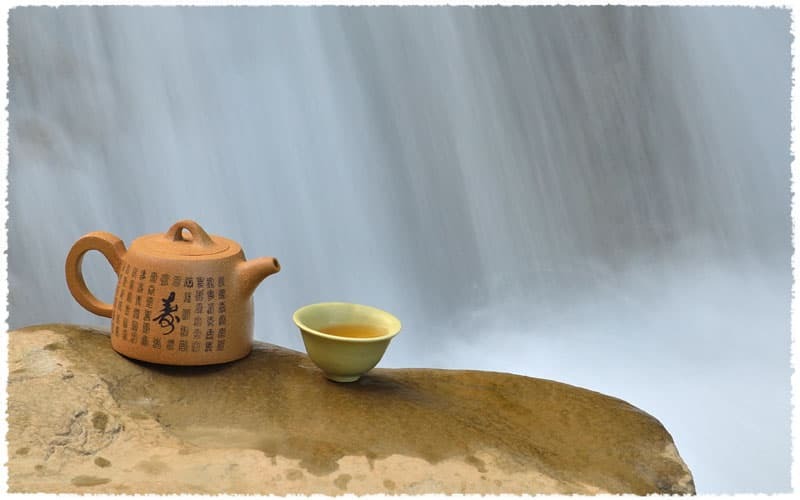 The body of the teapot is decorated with Xiao Zhuan (Chinese: 小篆, a style of Chinese calligraphy) characters incorporating best Wishes for the drinker. 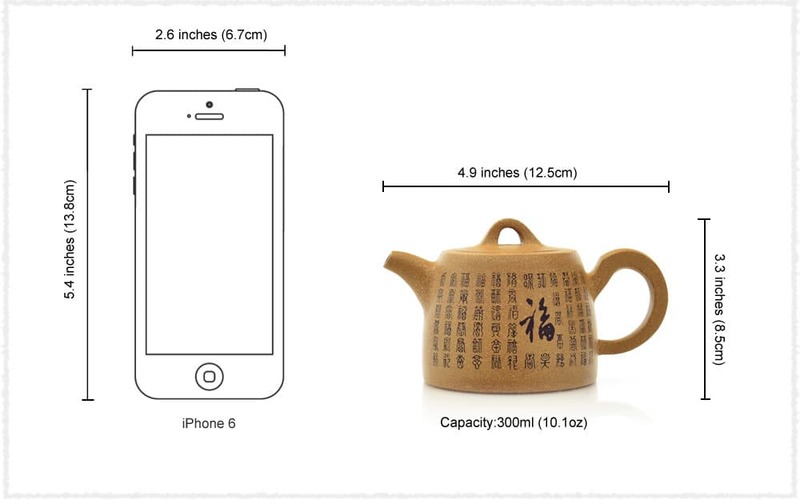 Fu (福) Shou (寿), means happiness and longevity, wishing the tea drinker a long and happy life. The whole pot body is decorated with Xiao Zhuan (Chinese: 小篆, a style of Chinese calligraphy) characters incorporating best Wishes for the drinker. “福” and “寿” means happiness and longevity. 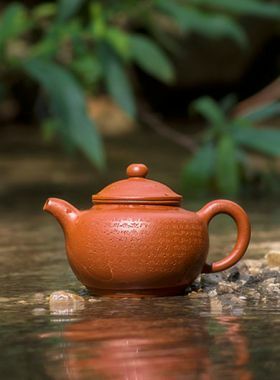 Made of Duanni clay and handmade by local seasoned potter who are adept at making purple clay pot, this Fu Shou Yixing Teapot has round and plump body which is smooth to touch and pour. 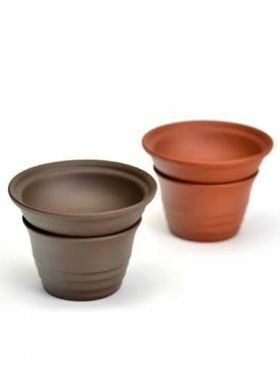 In addition to these, the hyperbolic ear-shaped handle adhered to pot body and build-in strainer with nine holes structure offer more convenience and hand feeling to its user. Plus sturdily constructed bottom with a personal chop carved below, It deserves to be rated as an exquisite teapot. The cold fountain possesses the taste of morning, while Yixing purple clay is pregnant with tincture of the spring. 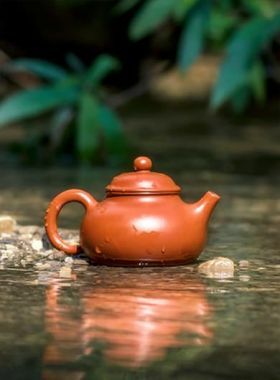 Yixing purple clay (also known as Zhisha), as a unique ceramic art form and essential part of Chinese tea culture, has a long history of more than 1,000 years. 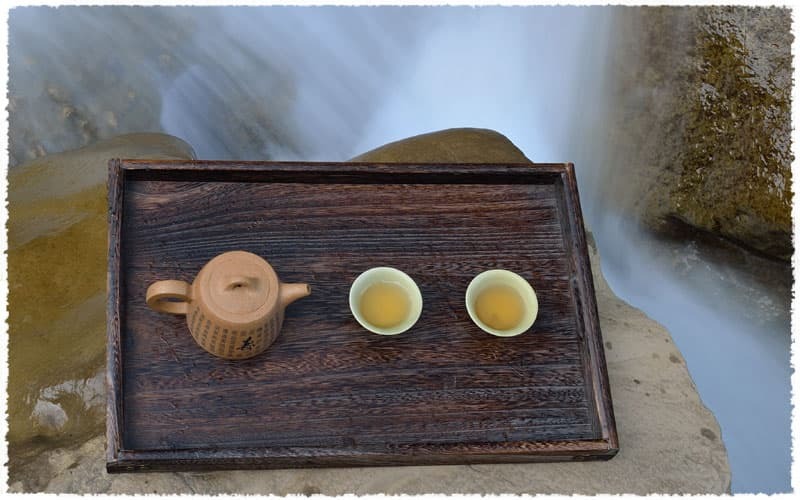 Yixing Zisha can also be referred to by the name of its birth place, Yixing, located in the southern Jiangsu, in south China. The earliest ceramic activity here can be traced back to five to six thousand years ago, based on the relics of Neolithic Age, found by experts. 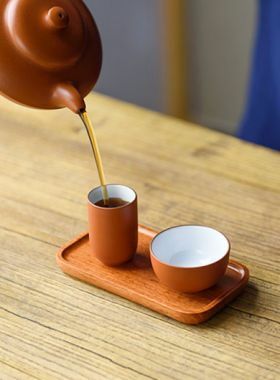 As a kind of traditional handicraft and trade good, purple clay plays a crucial role in this region, furthermore the impact brought by purple clay on tea culture and ceramics industry are impossible to estimate.